10′ x 10′ Custom printed tent starting at only $775! Click here. At Visible Marketing, our goal is to make your business visible. 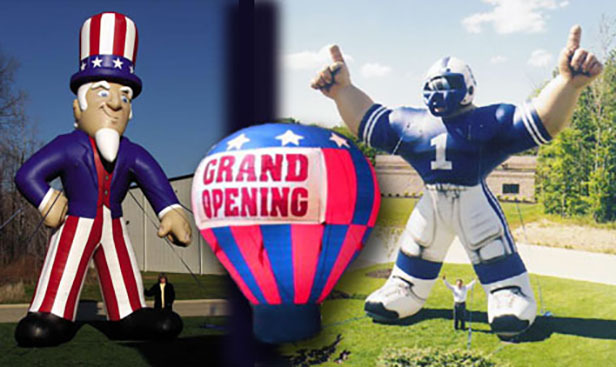 Whether it’s at your building, on your vehicles or at your outdoor or indoor events, we provide the custom products to help you get noticed! We are your source for any type of large format custom printing. Whether you need a single banner or an entire event’s worth of signage, we have the capacity to handle your job. We can help you deck out your buildings, lots, windows, walls and practically any other space you have with signage and advertising. No one else is better equipped than we are to help you make your business visible! Having started over 25 years ago as a 2 person company, we’ve definitely come a long way over the years. We currently operate in a 19,000 sq. ft. facility and employ over 40 employees. Our facility is equipped with an array of state-of-the-art large format HP latex printers, which ensure that no large format print job is too big or too small. Our company is family owned and operated and we cherish the chance we have to interact with our customers from every level of business. Whether you are an ambitious new entrepreneur, or a large Fortune 500 company, we will be thrilled to make your business visible!